PTCL EVO introduced Charji Double Volume offer for a Limited time. Buy, Upgrade or recharge your EVO Charji device to get double volume on your recharge for 3 months. Grab your device or recharge it before 30th April 2018. 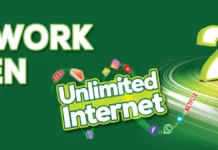 PTCL is the foremost and first telecommunication company in Pakistan under the supervision of Pakistan government. The PTCL is the root telecom company in Pakistan, on which other companies rely on the resources. PTCL was first introduced as a telephone company. But now, its providing internet services as well in the whole country. They have a well-proven internet provider company, serving the nation for many years. They often introduced many amazing offers for common citizens, students, and businessman. But this time they have introduced an astonishing Charji Double Volume offer. This offer allows the customer to get the double volume on the usual monthly charges. This offer is equally suitable for new, existing and old customers. Grab this offer before the deadline and enjoy the double volume for 3 months after subscription. To avail Charji Double Volume offer you must fulfill one condition described below. After that, you will be awarded So take this amazing opportunity and explore the world with double volume internet. Visit your nearest PTCL Stop shop to upgrade your EVO Charji device or visit the retail outlets. For monthly line rent, you will get double for a month. Every time you recharge, you will get double volume. Here are the complete details of monthly line rent. The offer is valid for 3 Months after getting this offer. Every time, you recharge your Charji device, you will get double volume. But this remains viable for three months. You must have subscribed to this offer before 30th April 2018. To meet the daily data and communication needs, additional volume bucket will be provided for 5GB at RS 500.